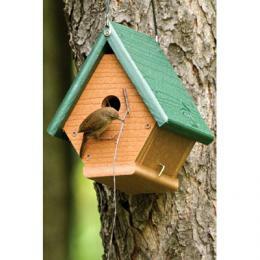 Wrens prefer sites with dense undergrowth, either in mixed forests or in wooded suburban settings, in a natural OR artificial cavity. 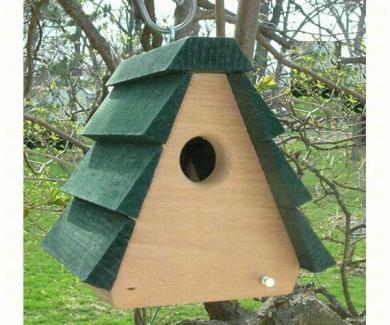 The nest is a bulky, often domed structure, with a small hole towards the top. 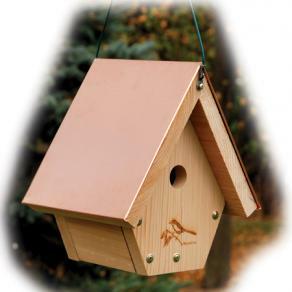 Nests of the suburban type wrens have been reported in a great variety of nooks and crannies including shoes baskets and hats, around, or under buildings of various kinds, under bridges, or in holes in any structure such as a porch, fence-post, tree, house or barn. 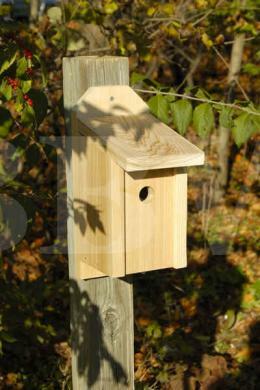 Almost any kind of receptacle may offer an acceptable nesting site. 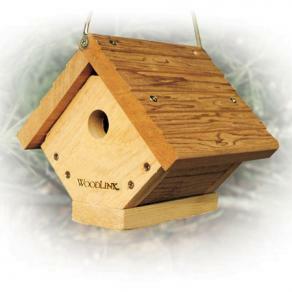 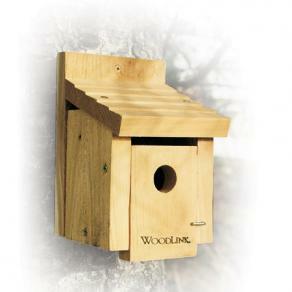 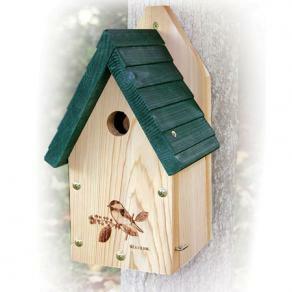 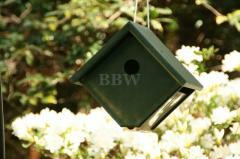 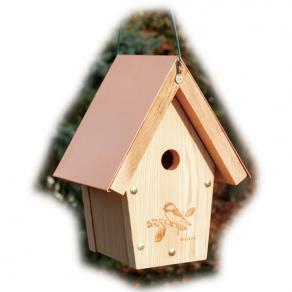 The bird houses below are some of our favorites artificial cavities for wrens.